Wave hello to some serious seaside fun! 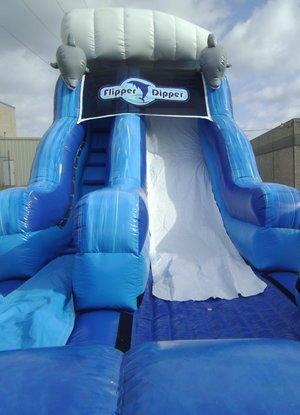 Mermaids and mermen will have a blast sliding down the Flipper Dipper Inflatable Slide. 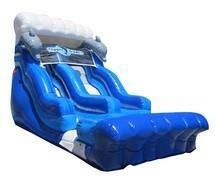 Two friendly dolphins perched at the top of the slide are ready to catch a wave with your guests. 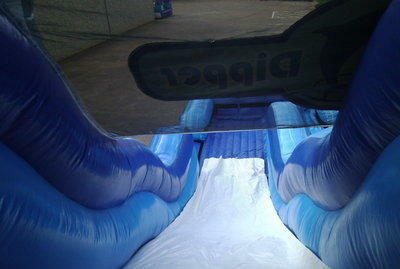 The ocean-themed slide features a large white wave at the top, two large smiling dolphins and a large blue wave at the bottom.